As winter fades into spring, the call of the wild will have thousands of people grabbing their camping gear and seeking adventure in the big outdoors. For those looking to buy a new tent, there are hundreds of options available. While budget, number of occupants, environment and features all play a role in your investment, air ventilation is an important, often overlooked, factor worth considering. 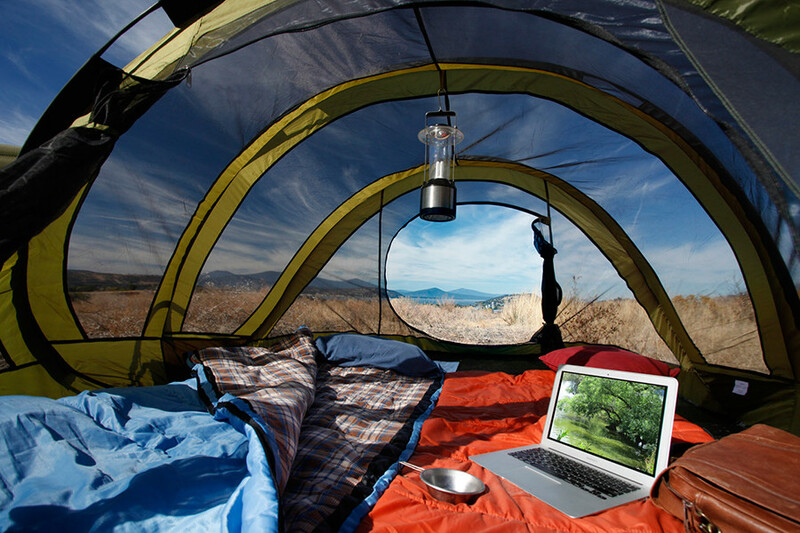 Tents are typically ventilated through mesh panels that are sewn into the windows, doors, and ceiling. These panels can vary in size and, therefore, affect how much air blows through your tent. Ventilation is the best way to prevent condensation while camping. Not only does condensation create a slimy, cold, dampness on the interior surfaces of your tent, but it also leaves moisture on any items inside the tent. Residual moisture can create mildew and mold once the tent is stored if it is not properly dried. A rainfly can affect your air ventilation as well. A rainfly is a waterproof cover that fits over your tent to help keep rain from seeping into your shelter. However, a rainfly that is too snuggly fit against your tent will hinder ventilation. Although it can keep you more insulated during frigid temperatures, this is not ideal as it creates additional condensation and prevents evaporation. A quality camping tent will have plenty of air ventilation. This is especially true if you are camping in a hot or humid environment. For maximum ventilation, you want to find a tent that has at least two doors, each on opposite walls of the tent, and at least one window. By having doors on either side, you encourage breezes to pass directly through your tent. A canopy that made entirely of mesh will offer the most ventilation possible, however, you can opt for a tent with a half-mesh top as well. The rainfly should be able to be pulled out, away from the tent walls if used. On a clear night, the rainfly should not be needed at all.